Let us help preserve the longevity of your trees. Our approach to bracing employs new technology to wrap the weak stems with a synthetic, non-conductive support web. 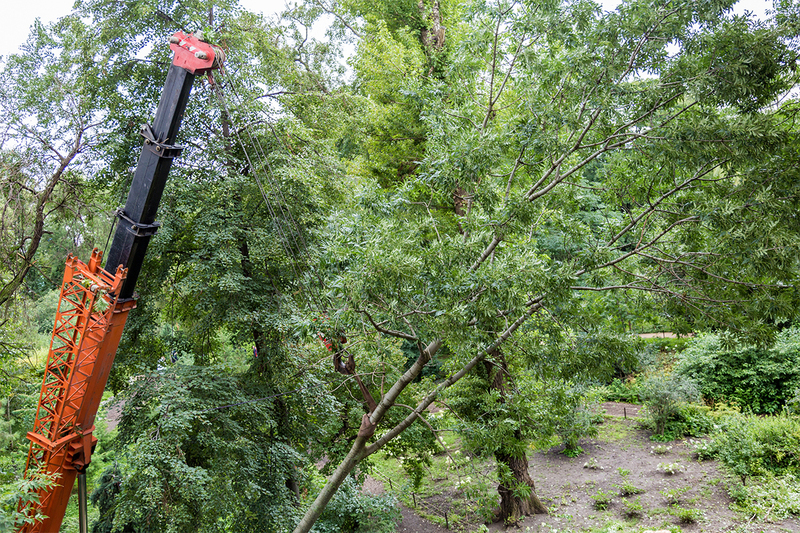 The procedure is entirely non-invasive; drilling steel pylons and tunneling cables through the trunk of your tree causes more damage than it prevents. 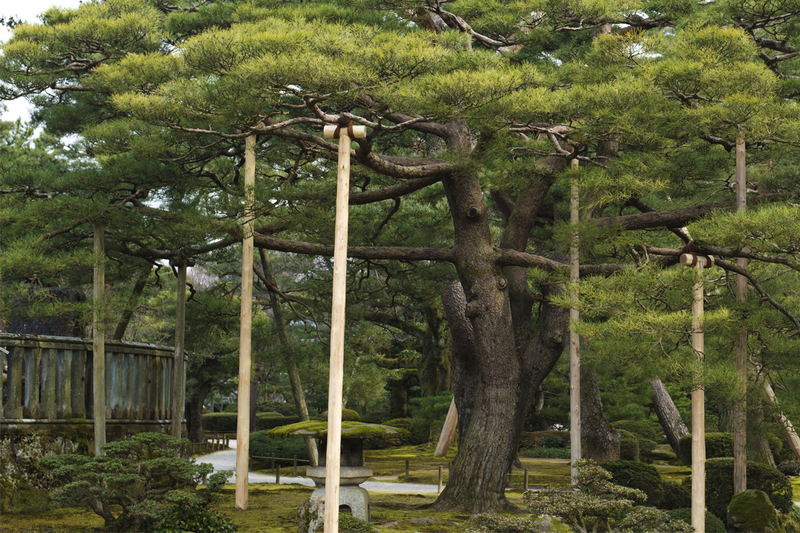 We want to brace the tree without wounding it, allowing the tree to accept the cabling instead of fighting against it. We strive to do everything we can to educate the public in caring for their trees and enable homeowners to make an informed decision about their landscaping. We have placed great emphasis on studying the causes of tree failure and working to prevent collapse. Understanding the root cause of structural failure enables us to work against this tendency and hopefully prevent damage before it occurs. A tree can suffer catastrophic damage from any number of sources, commonly including infestation and severe weather. Overall, the leading cause of major tree failure is co-dominant stem fracture, when the multiple trunks of a tree grow too heavy for their own weight. This type of twin stem is often structurally unsound to begin with, and heavy growth can push a tree past the breaking point. Pruning helps, but trees with co-dominant stems almost always need permanent braces. Our professionals are fully trained in the yale brace Cable Support System, our preferred method of bracing co-dominant stems. Yale bracing cabling uses a synthetic construction along with built-in shock absorbers to make for a much less rigid, more dynamic system. This unique design works to reduce sudden stress on the trunk, allowing branches to flex and bend during severe weather instead of snapping and breaking against the brace. It effectively mimics the natural growth and movement of the tree. Old bracing technology uses a locking splice that rigidly fixes the tree in place. It requires drilling into the trunk of the tree and choking it off as the stem grows. 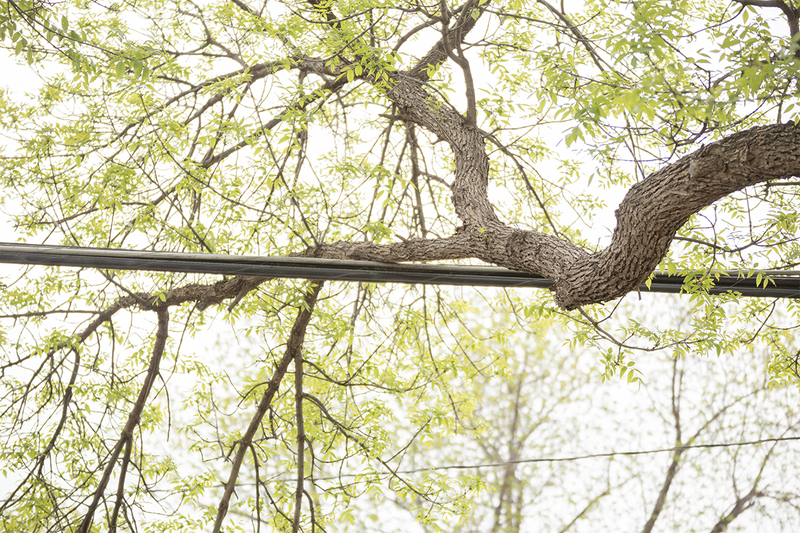 This type of brace is only a short-term solution because the immediate support it provides weakens the tree over it’s lifespan and damages the cambium as it continues to grow. It sacrifices the health of the tree by using low-cost materials and outmoded techniques. Drilling steel pylons and tunneling cables through the trunk of your tree causes more damage than it prevents.